Avazzia Biofeedback Electro-Stimulation The Avazzia is a handheld, battery powered, microcurrent, biofeedback device that applies relaxation/stimulation pulses to stimulate the bodys natural response to massage therapy. 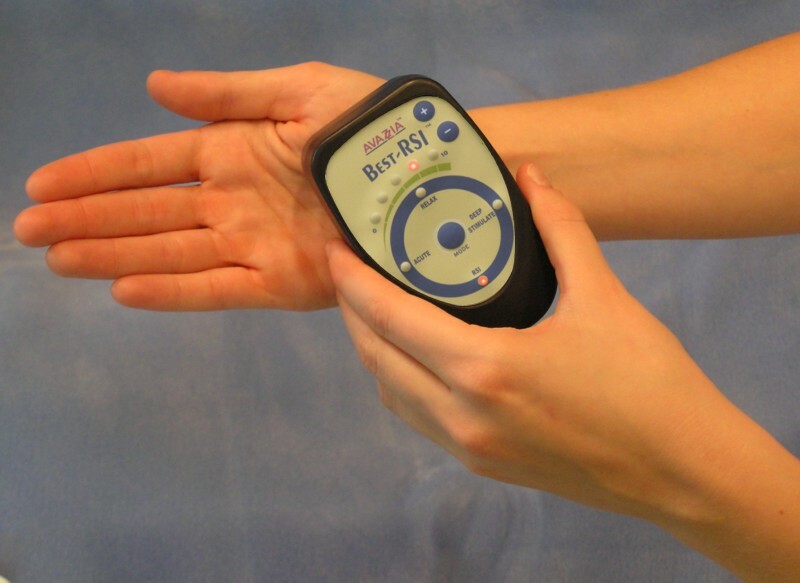 By holding the electrode on the skin, Avazzia non-invasive pain relief, usually within 10 minutes. For ease of use, interactive beeps and ring tons indicate when desired results are achieved and when measure amounts of time have passed. From minor to chronic pain, from to relaxation to stress reduction and improving the quality of life, Avazzia is a helpful, as well as easy-to-use, tool for all.